A granuloma is an inflammatory lesion that characteristically contains a variety of cell types, some of which are involved in breaking down the affected tissue and some that help restore it. Numerous small, red, granular spots that readily bleed can typically be seen in a granuloma. In many cases, granulomas also display caseation, a form of necrosis in which the degraded tissue is soft and crumbly as well as dull and opaque, similar to cheese. 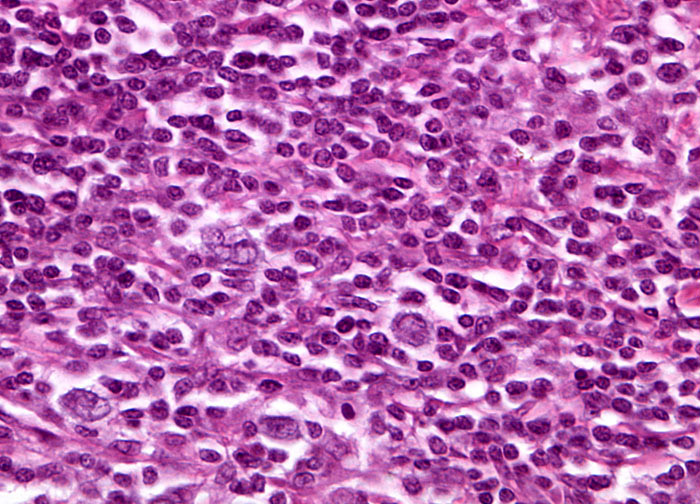 When caseation is present, it is generally located in the center of the granuloma tumor. Granulomas are associated with a number of diseases, including Hodgkin’s disease, tuberculosis, syphilis, Crohn’s disease, and sarcoidosis.